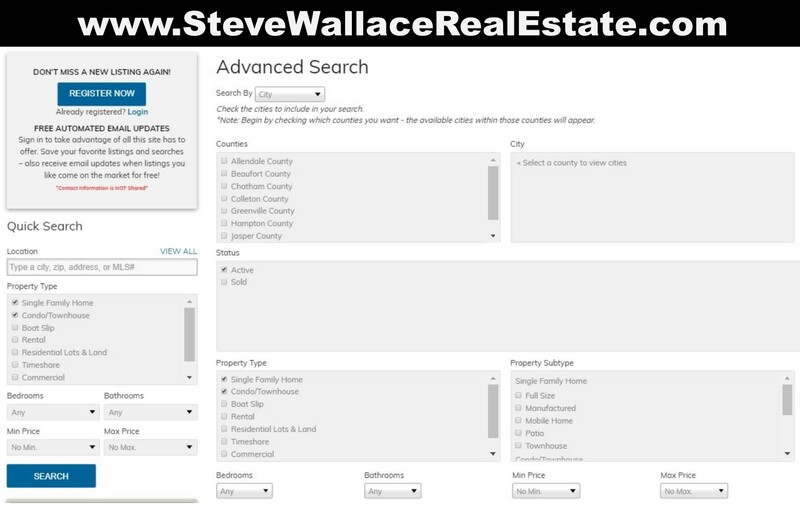 Find affordable Bluffton, SC homes for sale presented by Steve Wallace Real Estate. 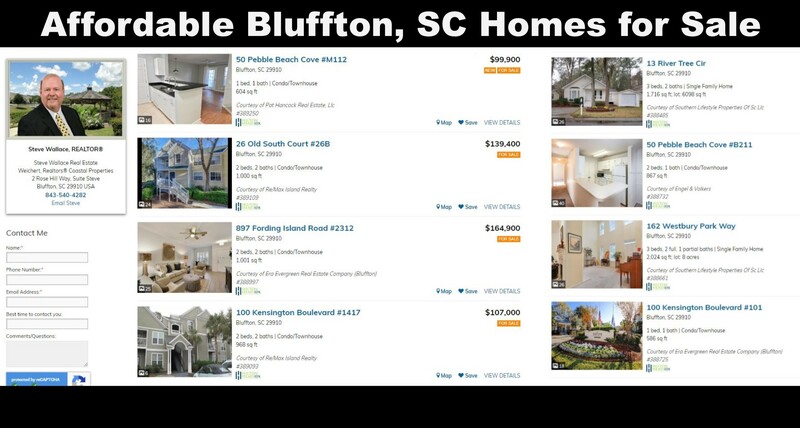 Access our advanced search page, online, to find a comprehensive database of affordable homes in Bluffton, SC for sale at affordable price points. We can also help you find affordable real estate properties and homes for sale in Sun City Hilton Head for active adults, Hilton Head Island, and homes in the surrounding area. Follow the simple directions below to complete an advanced Bluffton, South Carolina home search for affordable homes in Bluffton. 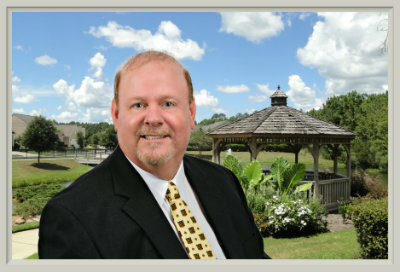 Visit Steve Wallace Real Estate in Bluffton online. Click on the “Search” menu. Select from the drop-down menu, “Advanced Search.” Under the Counties heading choose “Beaufort County.” Under “City” choose “Bluffton.” Leave the “Property Type” selections on “Single Family Home and Condo/Townhouse.” Go to the “Max Price” option and select $200K. Near the bottom of the search section simple click on “Search” to complete the advanced homes search for affordable homes in Bluffton. View pictures of homes, review property descriptions, and use our detailed filters to find the perfect place to make your own. Become a Bluffton, SC homeowner. Need assistance with your home search? We love helping home buyers! Call, 843-540-4282.  Speak with resident Realtor Steve Wallace, Real Estate Buyers Agent, to find the home of your dreams, at a price, you can afford. Our database of affordable homes updates daily so come back often to find the newest affordable home listings and speak with Steve to get the inside scoop on the newest affordable real estate listings of homes for sale. More than likely, at price points below $200,000, you’ll find a very nice selection of condominiums, which we call villas, and townhouse properties. You may also find single-family homes for sale. Adjust your maximum price up, to a higher price point, and more single-family homes for sale will appear. Live the good life in Bluffton South Carolina in a home you own. You’ll find a variety of housing options for sale on our site. Search Bluffton, SC homes for sale, real estate, and MLS listings. Thinking new construction? We also have a wide selection of new homes in Bluffton for sale. Not all new homes for sale get listed on the multiple listing service (mls) so speak with Steve to find out about new townhouses and new homes for sale today. Whether you’re searching to find an affordable home to use as a starter home, vacation home, permanent residence, or investment property, we can help. Bluffton, SC real estate investors, first-time home buyers and all others, will find all types of homes for sale on our site including starter homes, distressed properties, short sales, estate sales, foreclosures, new homes… at affordable price points and the most luxurious of luxury properties for sale. 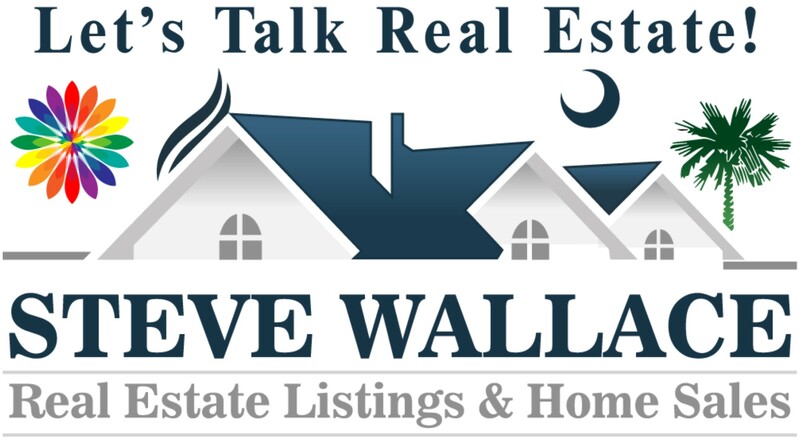 On your journey, to your next home, make your first move a call, to Steve Wallace, Realtor.